Need some South of the Border inspiration to celebrate in style this Sunday? Then you have come to the right place my friends! We are having a taco party, and of course, Sweet and Crumby wouldn’t be Sweet and Crumby, if we didn’t add a few sweet treats as well. 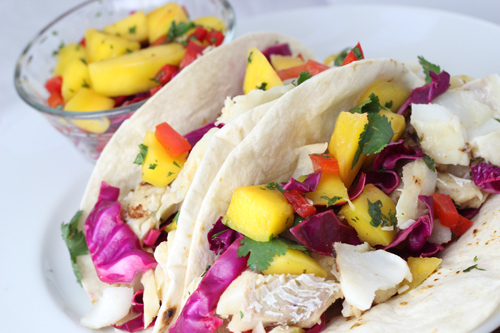 I think your Cinco de Mayo party would be a hit if you served a platter of these delectable Grilled Fish Tacos with mango salsa! 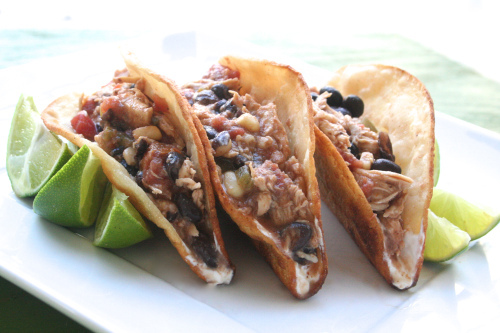 Or how about Slow Cooker Chicken Tacos with crispy stove top fried taco shells from Sweet Caroline’s Cooking? 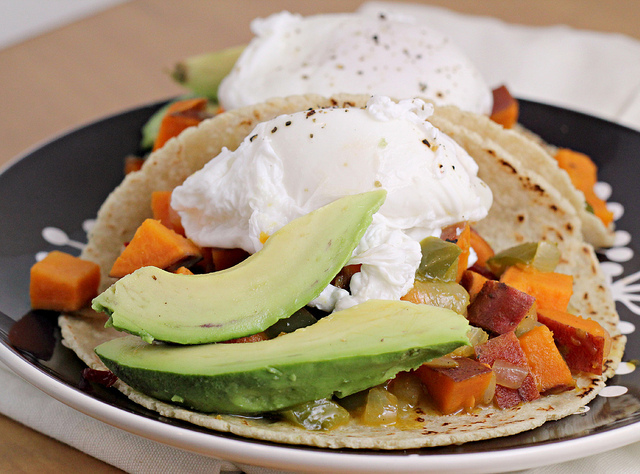 Need a crazy delicious vegetarian taco to kick off your party and make you shout, “Ole!”?, then you must try Eats Well with Others’, Chipotle Sweet Potato Hash Tacos. 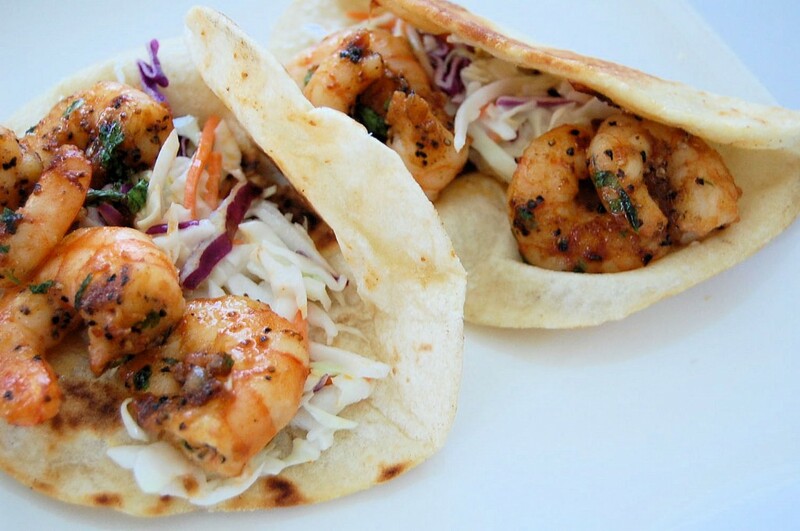 And finally, maybe some mouth watering Chipotle Shrimp and Avocado Lime Slaw Tacos from Kitchen Belleicious is the perfect pairing to your Agave Margarita? But what’s a party without a little something sweet to make your taste buds dance and sing? Why not try some creamy, dreamy Mango Flan? Any way that you party, as long as you have some good Tequila and even better company, you will surely have a great time. All photos are original photos from the respective blogs and are owned and copyrighted by said blogs. Any use of photos must be given express permission by respective blog owner. Thank you. Categories: Cinco de Mayo, Cookies, Fish, Other Desserts, Vegetarian | Tags: avocado slaw, Cinco de Mayo, crock pot chicken tacos, fish tacos, lime cookies, mango flan, mango salsa, shrimp tacos, slow cooker tacos, sweet potato hash tacos, vegetarian tacos | Permalink. Wow, this looks like a great Cinco de Mayo line up, Geni, and I’m especially eyeballing that flan! Hope you have a happy fiesta! Thanks Betsy, I adore flan and this one is very creamy. Have a great weekend. Wow, what great looking dishes! Thanks…there are so many talented cooks out there. Great party food, Geni. My..all the different kinds of tacos…my mouth is watering. Me too…I am now so in the mood for some great tacos. Such a great list of good Mexican recipes! Those lime cookies look so good! Thank you so much! 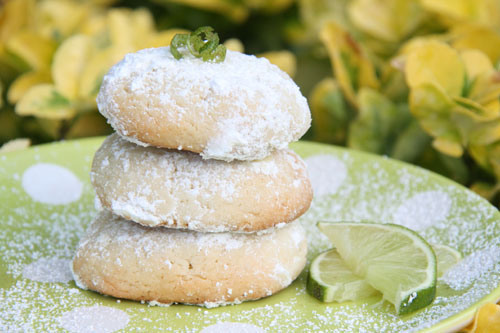 The lime cookies are surprisingly different and delicious. I’ve made them quite a bit and people are always raving about them. those tacos look mightyyyy delicious! I’m so lazy right now because of the heat, can you please Fedex some over? Just email me your address! I will send some right over. Hope it cools down a bit. Delicious! What a tasty treat! It’s even making me hungry! Thank you! We are thinking along the same lines today. I’ve been pondering a taco party myself. I’m liking the looks of the shrimp tacos and the lime cookies best…and of course, the tequila! Have fun! I would be in heaven if I went to a taco party with this selection. Thank you for stopping by and for the nice comments. I think you should whip up some chocolate tres leches cake CCU! what a great roundup! 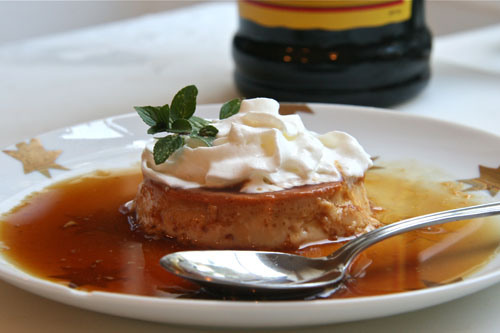 Wow, I need to try that flan! Thanks for including Kitchen Belleicious my friend! Happy early Cinco De Mayo! That is one fantastic taco party! Very festive! Thanks so much for featuring my recipe! I really want some of your mango flan. That sounds so good! I’m so hungry now….and it’s only 10am!! Everything looks delicious, thanks for including my recipe! I’m gonna need to check out those shrimp tacos. mmm! Now this is some kind of line-up, Geni! What a great collection of recipes! Thanks for taking the time to gather and post the recipes. Wow! What a menu, those tacos look phenomenal!